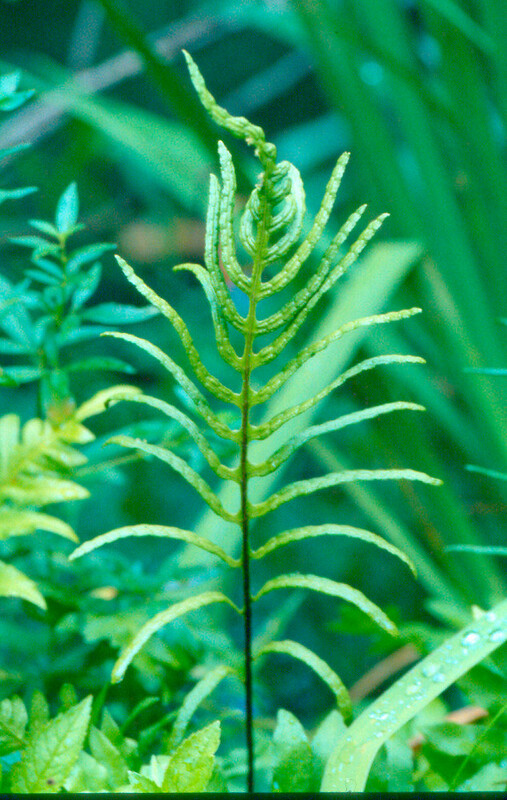 Species in the family Blechnaceae are perennial, herbaceous ferns that typically grow on soil. The leaves are large and are once- or twice-divided, depending upon the species. The rachis is typically grooved on its upper side. The leaf blades are reddish when young. 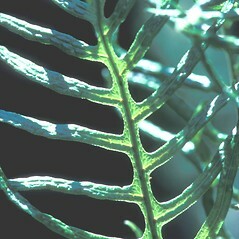 The elongate (i.e., non-circular) sori are arranged along the veins of the leaflets. They are covered with an indusium and open toward the midvien or midrib. 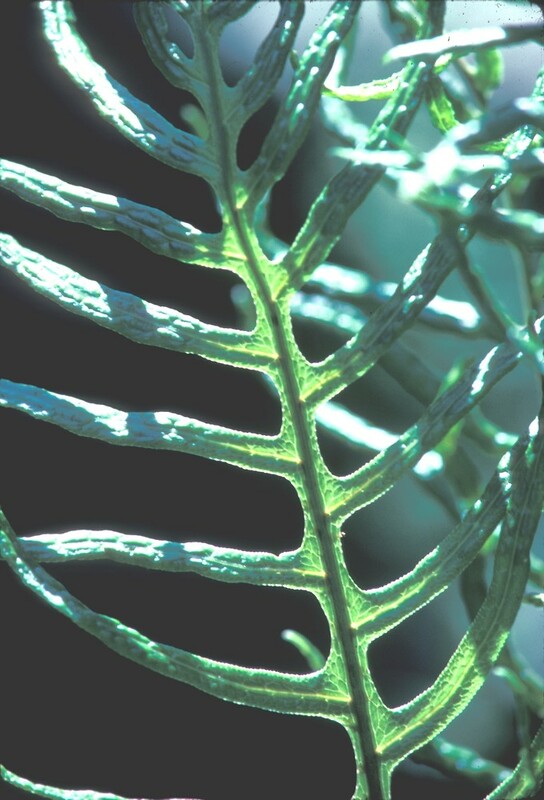 One of our two species has sterile and fertile leaves that are distinctively different; in the other species, the two kinds of leaves are similar. 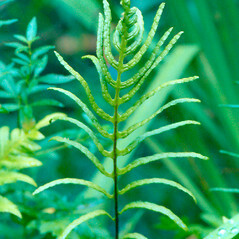 The chain ferns were formerly considered to belong to the Polypodiaceae.